Save time with shorter invoice processing cycle. Reduce cost per invoice by 50%. See how ABBYY solution reduces the time and cost of processing invoices, saving your money and improving your data accuracy. Download Levvel Research's white paper to learn how AP automation can help organizations reach new levels of success. Download this white paper to learn why capture is important in your AP automation initiative and how to implement a capture solution successfully. 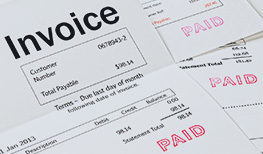 4 ways intelligent capture optimizes invoice processing. Watch this webinar to learn how intelligent data capture provides companies with a head start on their accounts payable automation journey. Adactus implement a purchase order processing solution for more transparency and lower processing costs. US-based pcRUSH online retailer automated invoice processing and greatly lowered its operating costs.